This package just arrived in the NME office. But what does it really smell like? Pride, confidence and strength, as the tagline would suggest? 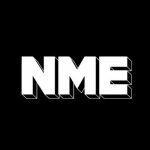 We put it to the NME office to find out. “It makes me feel richer,” said Mark Beaumont, before describing it as “tangerine Lynx”. Other comparisons included Matey bubble bath, Febreze, Glade, posh grannies and young teenage boys at a disco. Surely it make you feel like you’ve got wall-to-wall Picassos and Basquiats? Well, one writer felt as if he was actually inside a bottle of that Jay-Z Ace Of Shapes champagne, or in the back seat of a Maybach at the very least. Will it attract the ladies? We sent Beaumont on a tour of the Blue Fin Building to find out. “I went to get a sandwich and no one approached me,” he admitted. 5/10 – Stylish and artistic packaging but low on substance.